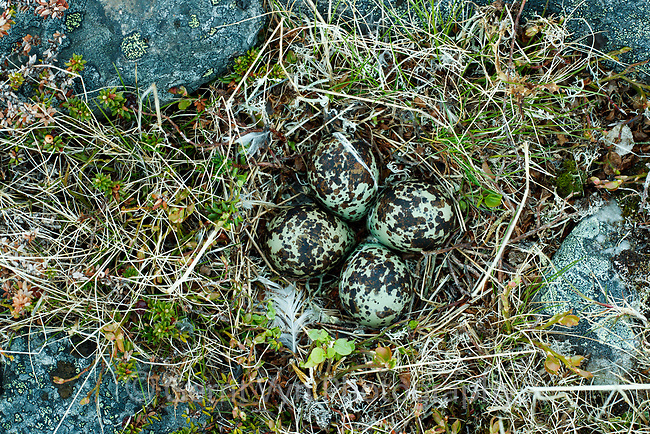 European Golden Plover (Pluvialis apricaria) nest and eggs. Norway. June.